www.loker-indo.net - Lowongan Kerja Terbaru Perbankan hari ini PT Bank Negara Indonesia (Persero) Tbk. atau biasa dikenal dengan BNI merupakan salah satu penyedia jasa perbankan terkemuka di Indonesia. As our bank continues to grow, we need more talented employees to become our future leaders. We need fresh, creative, skillful, and adventurous individuals who will lead and manage the bank’s transformation to achieve its mission in the future. 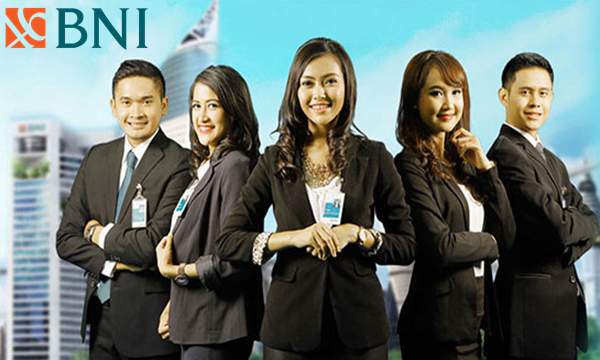 We invite you to our journey to be Indonesia's Agent of Development and to be the pride of our nation. BNI, a great place to contribute, learn, and grow.